Undescribed varieties but no doubt including some of more than 100 named tazettiforms mentioned by Baker. [Baker Am.]. A large number of tazettiforms, in a range of colours, are naturalised at Camden Park today and probably include some of the varieties included here. The illustration shows a selection of tazettiforms naturalised on Blarney Bank at Camden Park. The segments range from white to deep yellow and the coronas from the palest cream to orange. A pure white Narcissus papyraceus is seen at bottom right. No specific data. 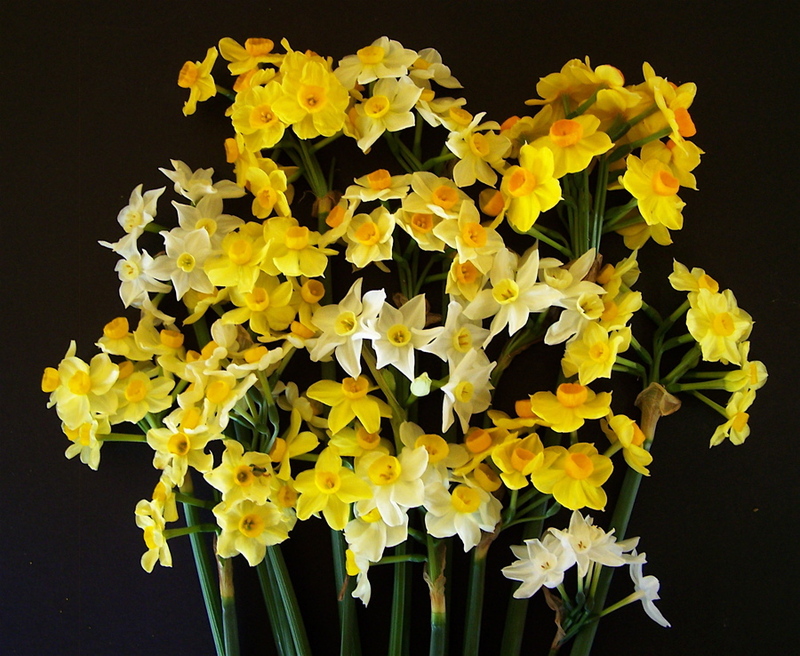 See other Narcissus entries particularly Narcissus tazetta L. and its varieties. Listed in all published catalogues [B.352/1843].